Thank you to ALL the Wonderful Rescuers that have shared their personal "Tips & Tricks". 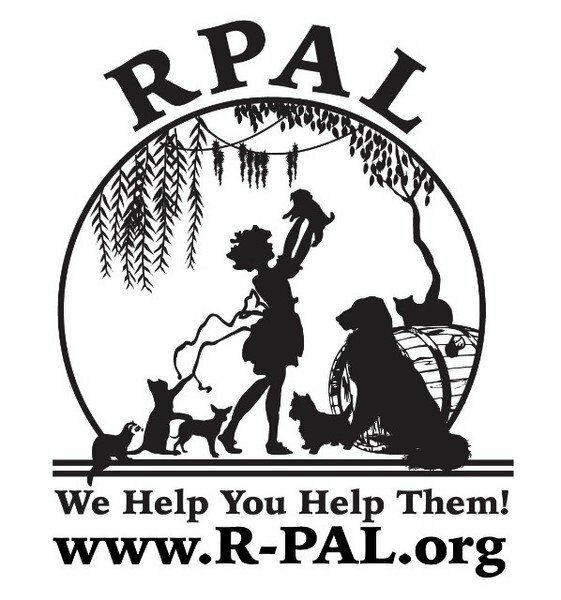 If you would like to share your Tips & Tricks email Help@R-PAL.org. 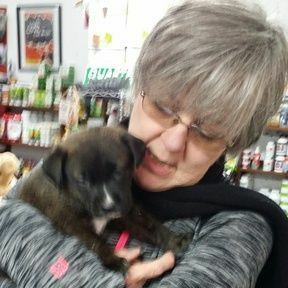 Note: To RPAL's knowledge none of the "Tips & Tricks" presented here were submitted or reviewed for validity by a Veterinarian, nor has RPAL personally used the products mentioned by rescuers please Use At Your Own Risk. CATS> Because I feed ferals in a couple areas that I don’t want people to see the cats/bowls or left over mess - or even if it rains the bowls get nasty or the raccoons carry them off and I have a plastic mess everywhere - I started using flour tortillas as plates - that way kitty eats and then the opossums or raccoons can finish eating and there’s no mess and sign that i was even there. I buy chair cushions and pillows from thrift stores - wrap them in a plastic bags and then buy the quilted pillow cases from the thrift stores and make cat beds - if they have an accident then all i have to do is wash the pillow case. 4) ask your vet about prescribing zovirax for parvo - it has been shown to lessen effects and recover faster. cheap drug. CATS> Another related tip is using the generic (nitempyram) and much lower cost version of CapStar oral flea treatment I get from LittleCityDogs.com to treat flea infested feral catsat a much lower cost. "Get A Jump On Fleas Before They Jump On You! PAWS for thought….. Article by Judy Griggs"
When Spring has sprung and those pesky little Fleas and Ticks are going to be waking from their sleep soon and to get that jump on them the best way is to treat the yard first. We prefer all natural options and both of the following options have proven very effective for us. Option 1 and probably the least expensive is Diatomaceous Earth (Food Grade ONLY) it is a “naturally occurring, soft, siliceous sedimentary rock that is easily crumbled into a fine white to off-white powder” and “can be used to help control and eventually eliminate cockroach and flea infestations” (Wikipedia). Just one (1) 50 lb bag can treat a ½ to ¾ of an acre and should be applied to dry ground then repeat in 7 to 10 days and monitor thereafter. This wonderful substance may also be added to your pet’s food to aid in ridding them of intestinal worms, and we even include Diatomaceous Earth in our cow supplements to cut down on their intestinal worms causing a reduction in flies, and you will even notice a reduction of fire ants in your pastures. IMPORTANT: Be sure you get the Food Grade Only and that it is the White Powder. Option 2 is called Beneficial Nematodes, they are small microscopic worm like creatures that bury into the ground and kill fleas throughout the year. Nematodes can be a little pricey for the large yards, but is again all natural and very effective. They are also noted to be “most commonly used for Fleas, caterpillars, cutworm, sod web-worm, pill bugs, maggots, worker/soldier ants and worker/soldier termites and Others Uses: American cockroach, army-worm, artichoke plume moth, Asian cockroach, beet army-worm, black cutworm, bluegrass weevil, codling moth, corn ear-worm, cotton boll-worm, cucumber beetle, fall army-worm, fly larvae, fruit fly, German cockroach, leaf miners, mole crickets, tobacco bud-worm, wire-worm, and more.” (www.arbico-organics.com) Of special note, if you do choose the Beneficial Nematode approach do not use Diatomaceous earth later as it will actually kill the nematodes. If the Fleas do get the jump on you then it is important to know that Fleas can really cause so many problems for your pets and can cost big in the long run, besides the horrible itching and scratching, your pet can develop flea dermatitis, infections, and hot spots. If fleas get really bad they can actually drain the life blood from your animal and if the pet eats one, fleas can carry tapeworm eggs on their feet which is ingested by the animal and later you see that rice like pellet in their feces and yes it is a intestinal worm that must now be treated. There are various treatments you can use if the Fleas got the jump on you. Veterinarian's offer a variety of once a month pills that you can give with food. RPAL preference has been the topicals which are applied to the skin on the back starting at the neck and drops in various places down the back. We like the topicals for various reasons but most importantly has proven to be the best product for our needs and if we even suspect a flea we treat immediately. The topical treatments are quite effective but can be expensive. A little rescue trick we learned is to buy the largest tube available and then pour into a small container, like a old pill bottle and syringe out (without the needle) the amount you need based on the dog size and apply the same as it had come out of the tube, just be very cautious when handling all types of topical products and wear rubber gloves or be sure and wash your hands thoroughly after using. You can also use that wonderful Diatomaceous earth rubbed on the dog or cat will also kill any fleas on your pet, but DE is only a temporary measure and the topical are typically a monthly treatment. This article is based on our experiences with the preceding subject options that have worked for us, but we are not professional exterminators, veterinarians, etc so is always best to check with the professionals before using any treatments.